Can someone else use my Merlin Annual Pass if I am unable to go? What attractions are Merlin Annual Passes valid at? Does my Merlin Annual Pass give me unlimited entry? How do I use a Merlin Annual Pass to visit the attractions? Can I use my Merlin Annual Pass for events, animal experiences or tours at the attractions? Does my Merlin Annual Pass include car parking at the attractions? Is the Merlin Annual Pass valid for admission to Merlin attractions elsewhere in the world? 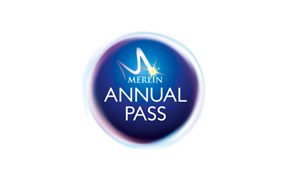 The Merlin Annual Pass gives the holder unlimited standard entry to all 11 Merlin attractions in Australia and New Zealand for 12 months. Please be aware that sometimes access to attractions might be limited due to operating calendars or other reasons. *Please note: Merlin Annual Pass holders will need to pre-book their time-slot to gain entry to LEGOLAND Discovery Centre Melbourne during weekends, school and public holidays. Pre-booking is not necessary during weekdays in term time when overcrowding is less of an issue.